We know Spring has truly arrived when little scaly heads and tails start emerging into the warmth of the sun, trying to wake up after a long winter sleep. 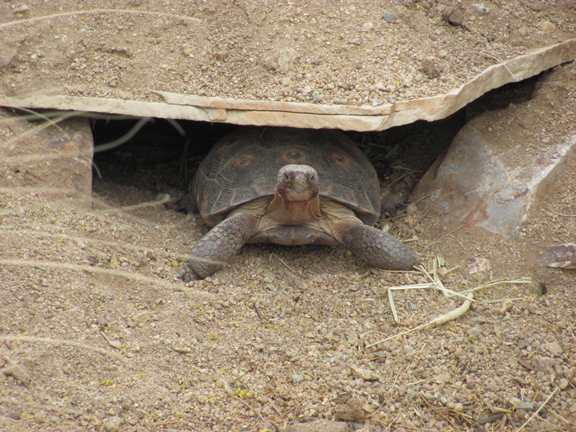 The largest of the desert reptiles were first to emerge this week. I don’t know if it’s because they were the only ones to survive the unusually bitter winter. Slow and still a little sleepy, the Collared Lizards are popping up everywhere! 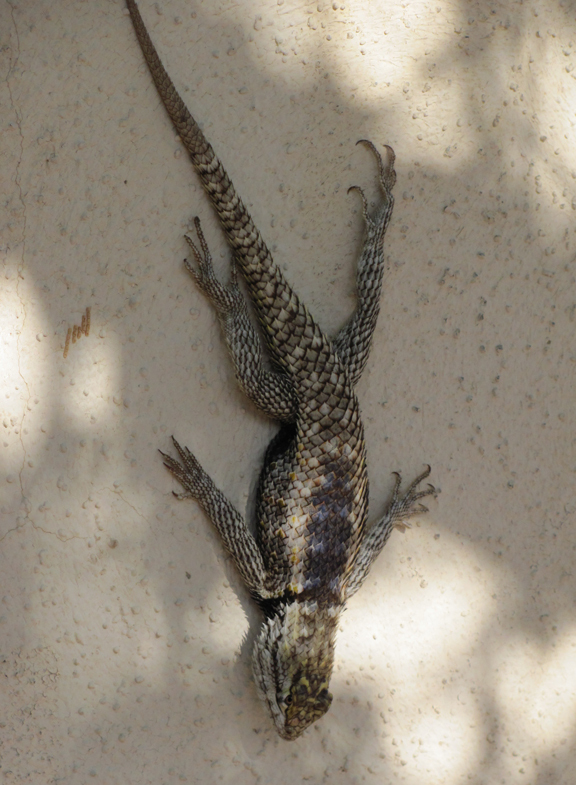 We spotted this guy hanging out on our neighbor’s wall. He was easy to spot, even from about 20 yards away….he was at least 20″ from head to tail! I honestly thought he was yard decor, because he just hung there for about an hour. As I walked up close to him to get a picture, he just looked at me, still not moving, but definitely alive! Eventually, he went on his way. Much to our pleasure, Gerti, our resident tortoise poked her head out of her burrow just the other day. Todd has made an on-going project of the tortoise habitat. This week he is going to sod a portion of it. He has planted a variety of natural grasses and plants that tortoises eat. He may even build a shallow pond. Aaahhhh, if only we had some $$$ what he could do! ….Someday Gerti…Someday! 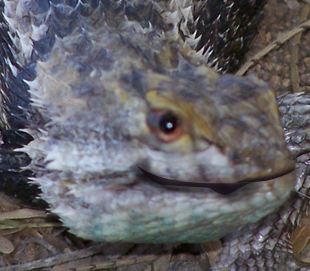 With the emerging reptiles gearing up for the long, hot summer, our family and friends need to make sure that we are all very much alert and awake!…. 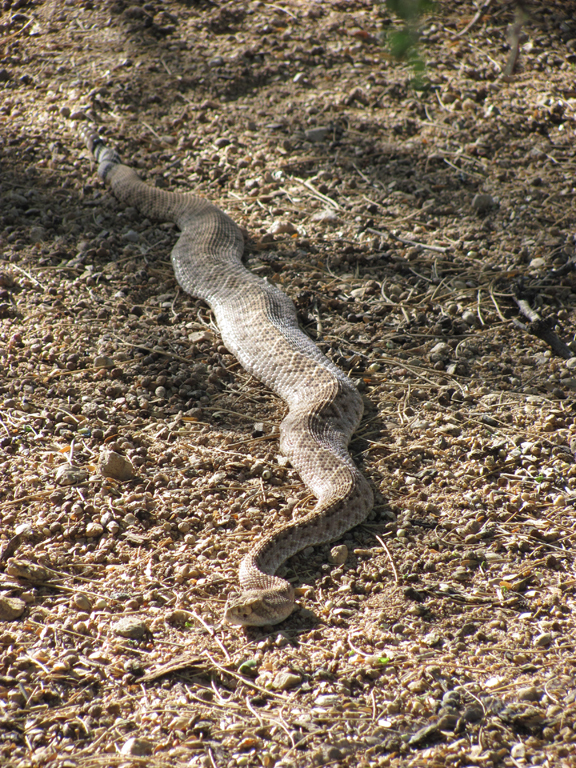 This 4 foot rattler must have just woken up…he had flattened himself out to get the heat soaked in. He didn’t so much as flick his tail when we approached (not too close!) Beautiful, but a bit frightening! Whether it slithers, slogs, scurries or scuttles, if they have scales and tails, these creatures lend an air of intrigue and excitement to Todd’s Backyard…..We continue to be beguiled and reptiled!